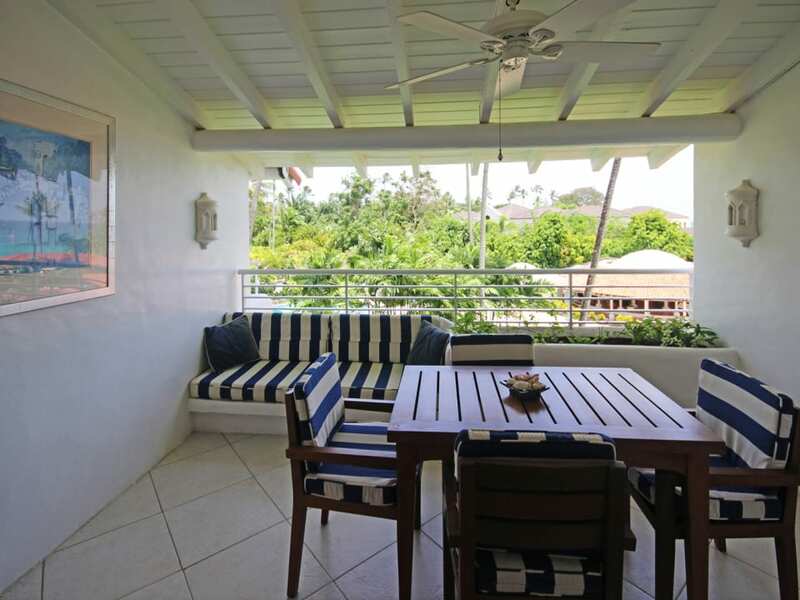 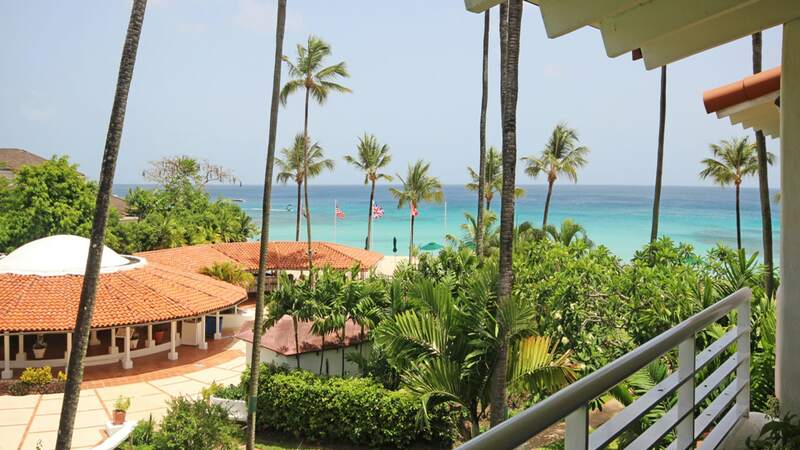 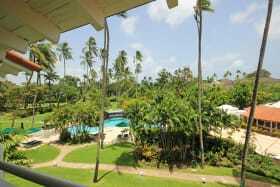 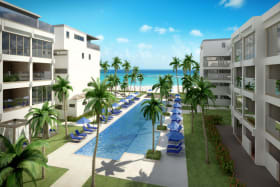 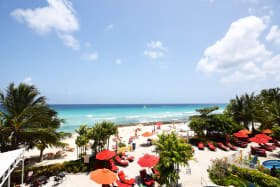 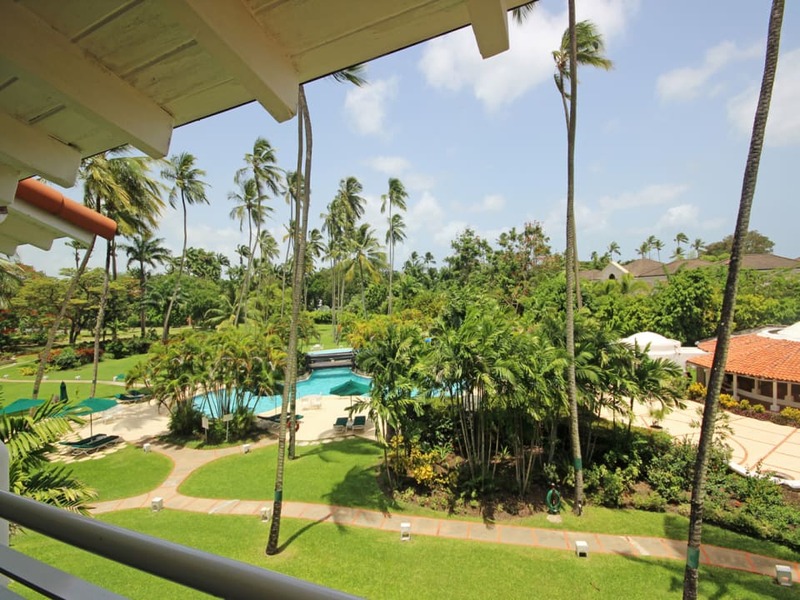 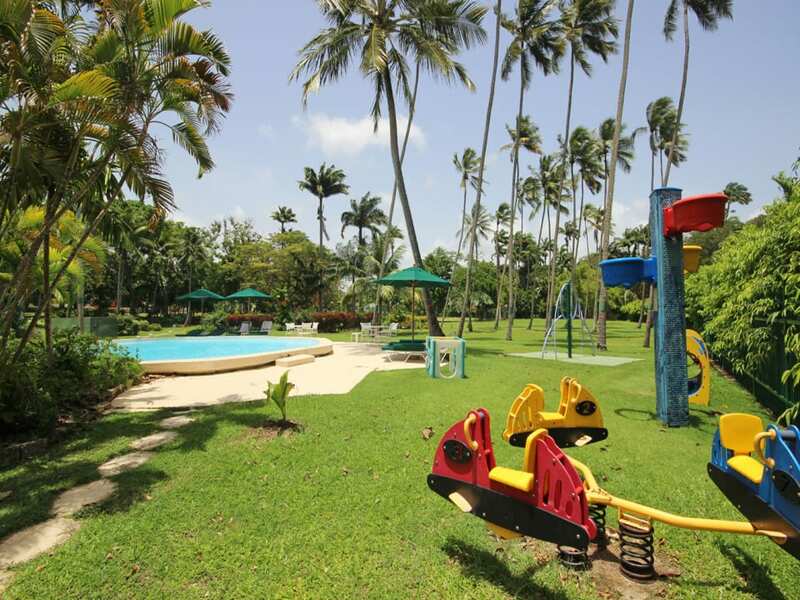 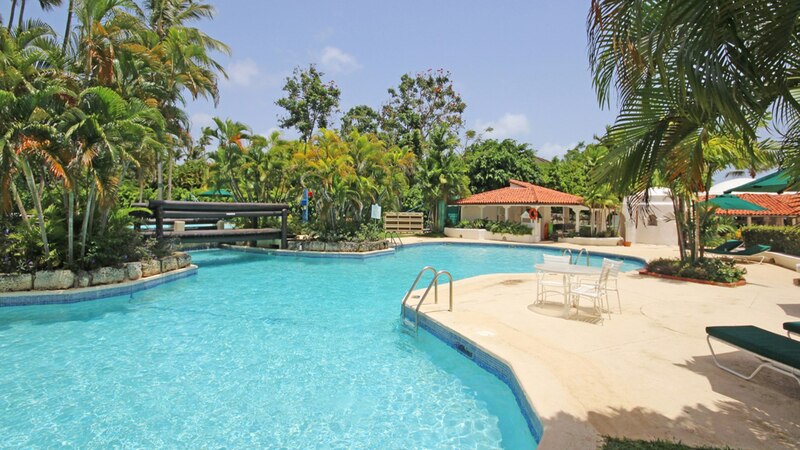 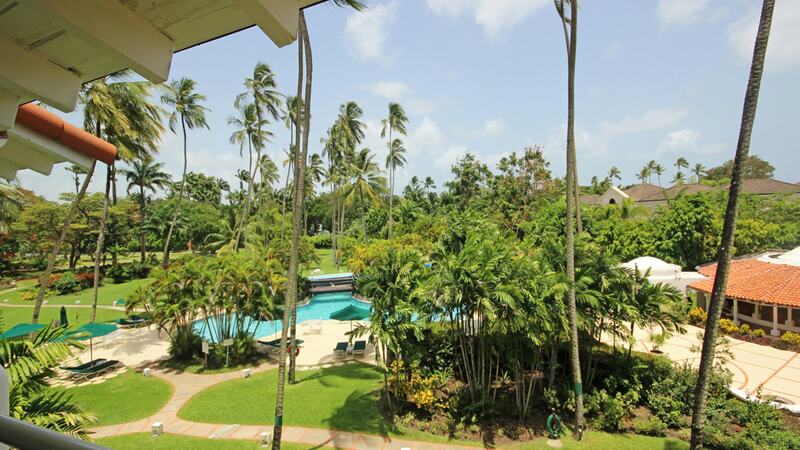 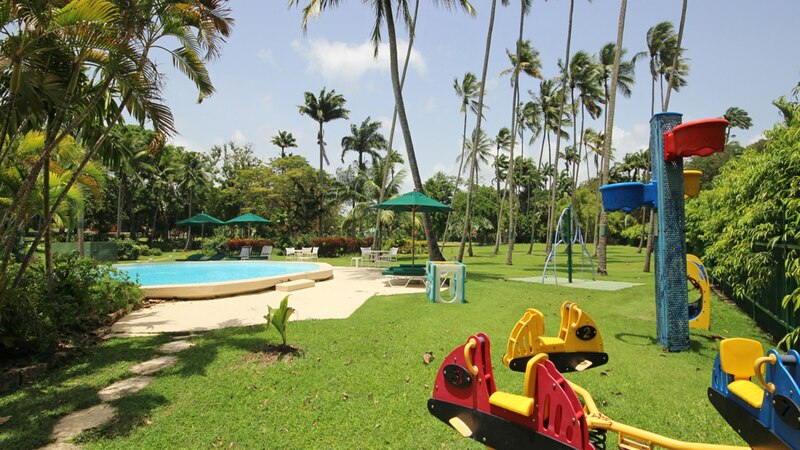 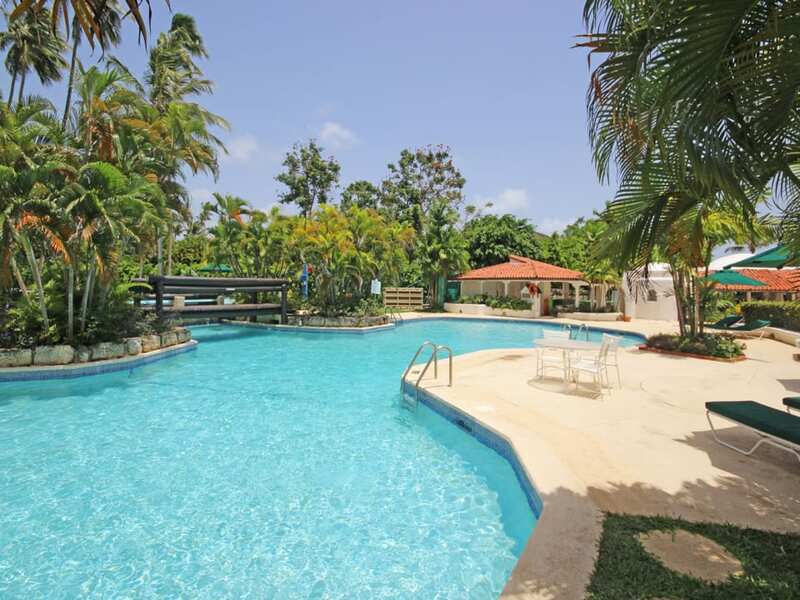 Set within beautifully landscaped and expansive gardens, this one-bedroom, one-bathroom apartment is part of the beach front Glitter Bay condo development in St James. 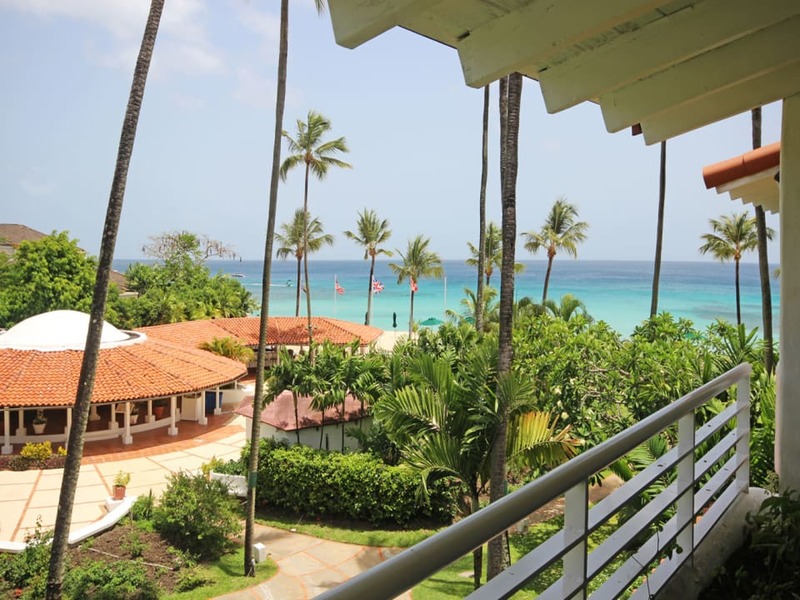 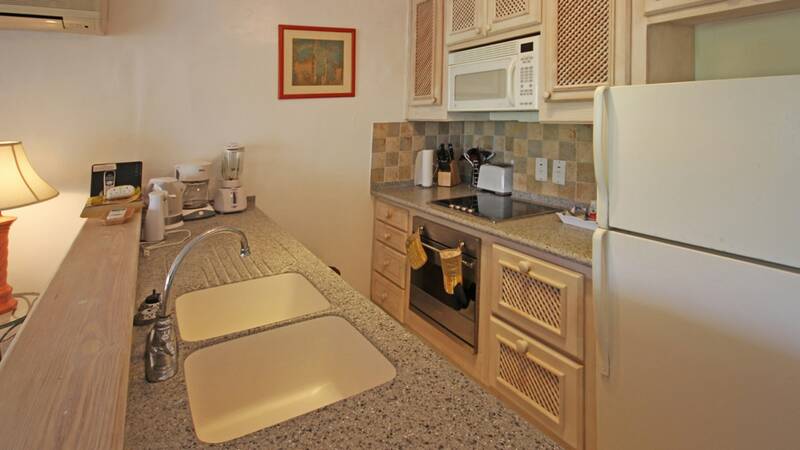 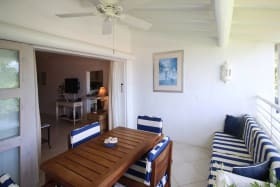 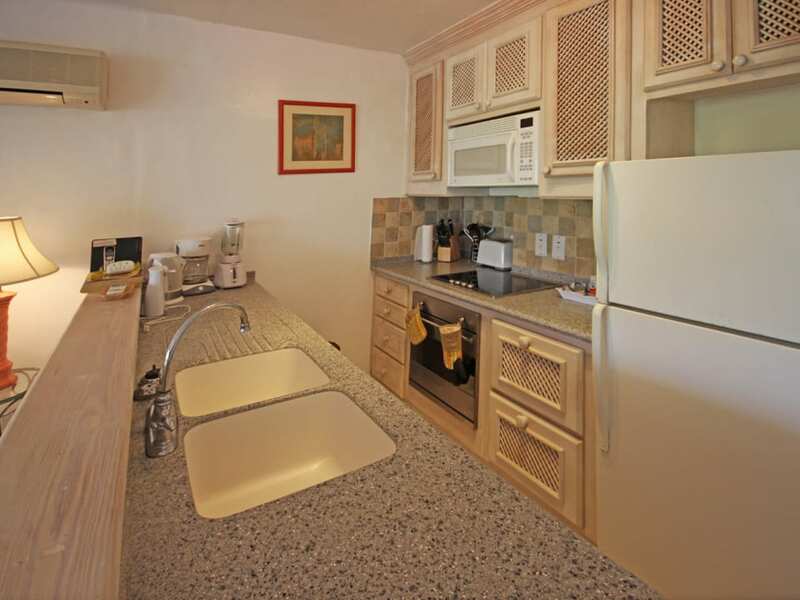 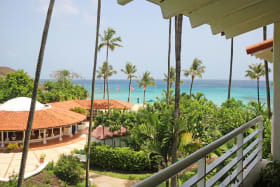 "Ocean View" is located in the second building on the second floor, has been completely refurbished and offers all modern conveniences. 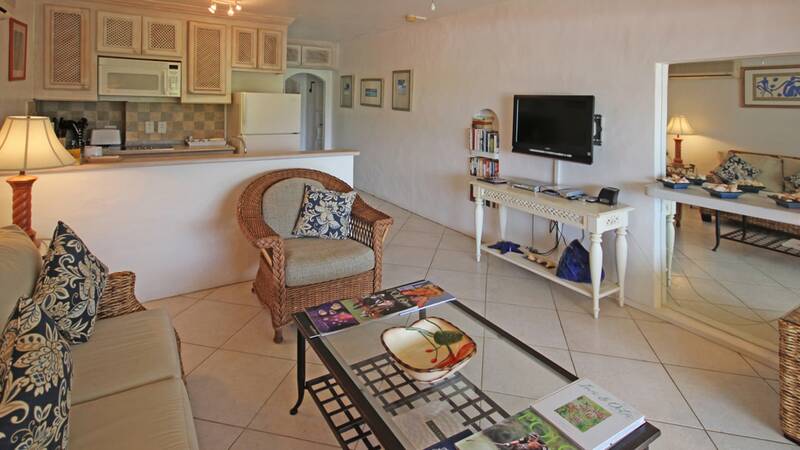 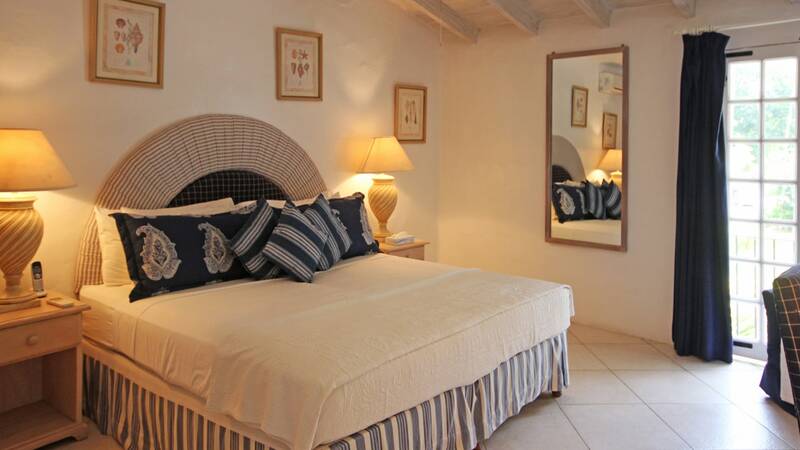 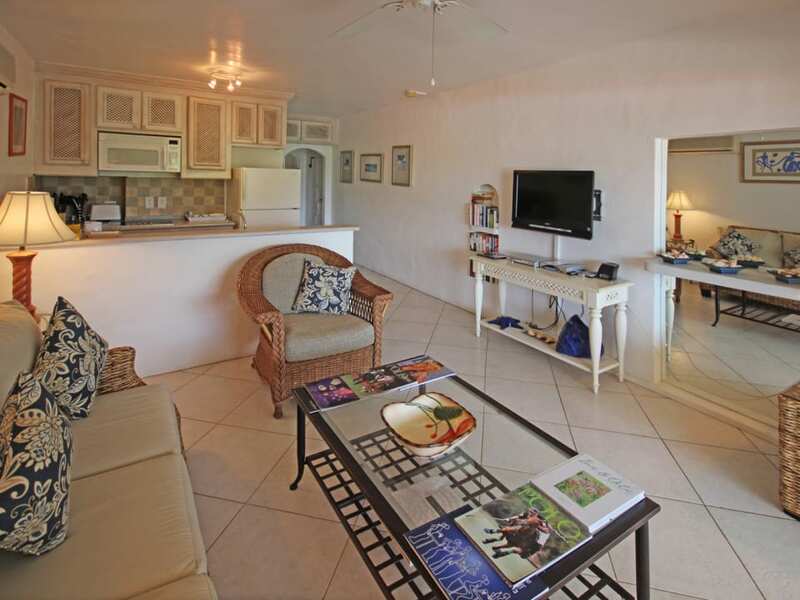 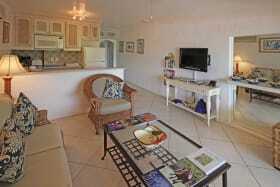 The bedroom and the living room are air-conditioned and have ceiling fans as well. 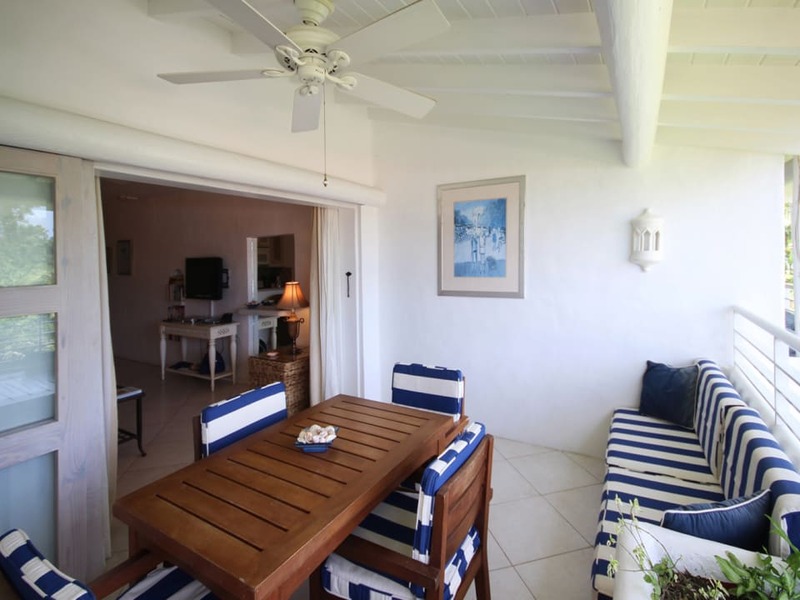 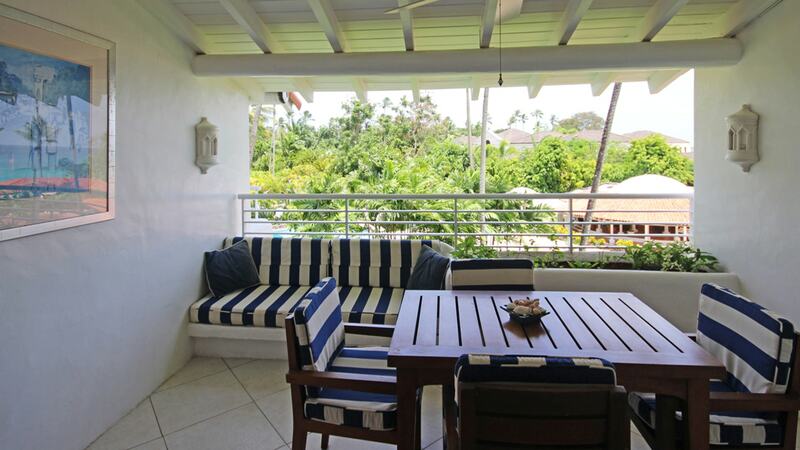 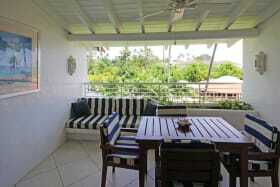 Dining is alfresco on the dining verandah, which has wonderful garden and sea views. 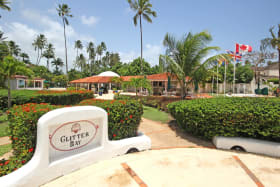 The beach at Glitter Bay is well known for its great swimming and snorkeling. 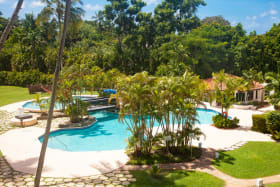 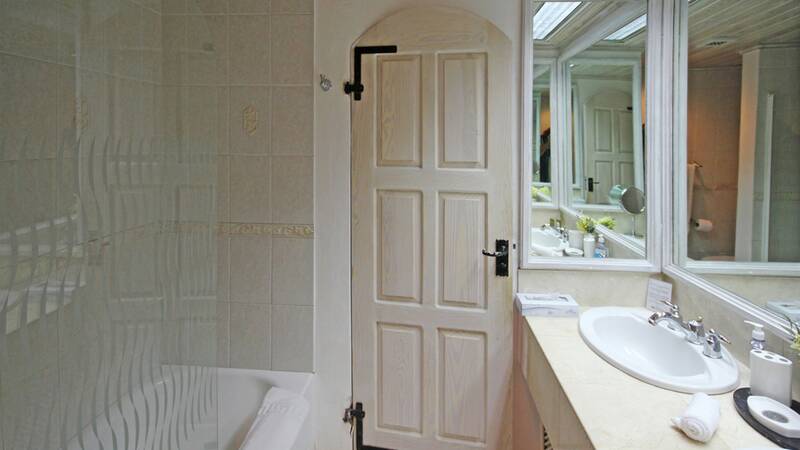 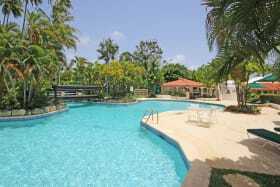 Communal facilities include a large swimming pool, separate children's pool, children's playground, gym, tennis court, reception, restaurant and bar. 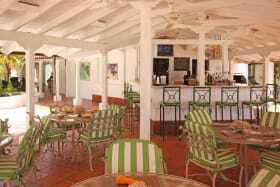 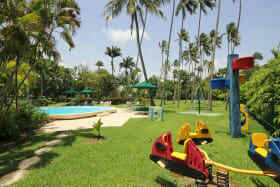 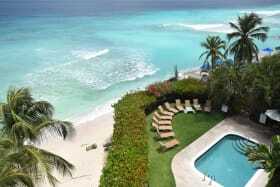 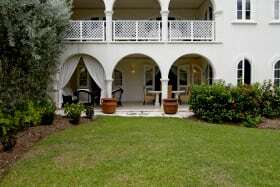 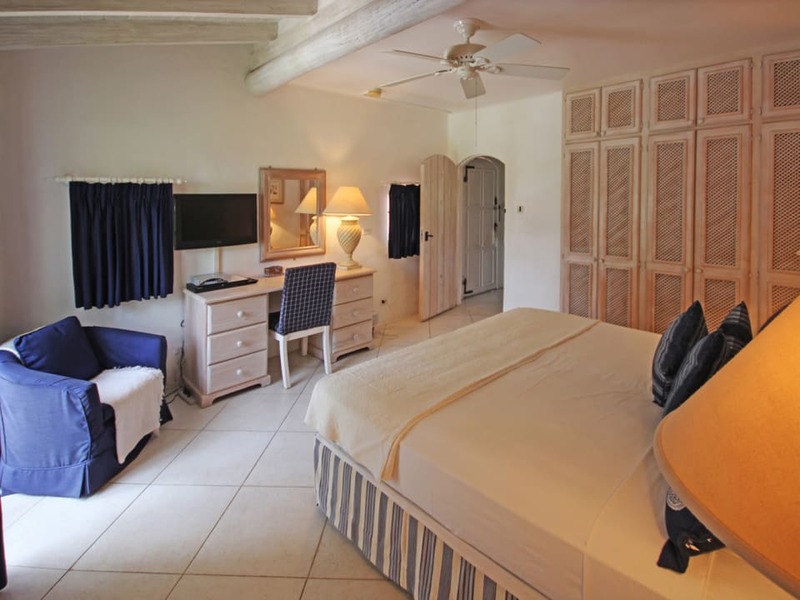 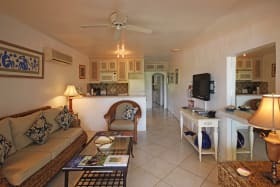 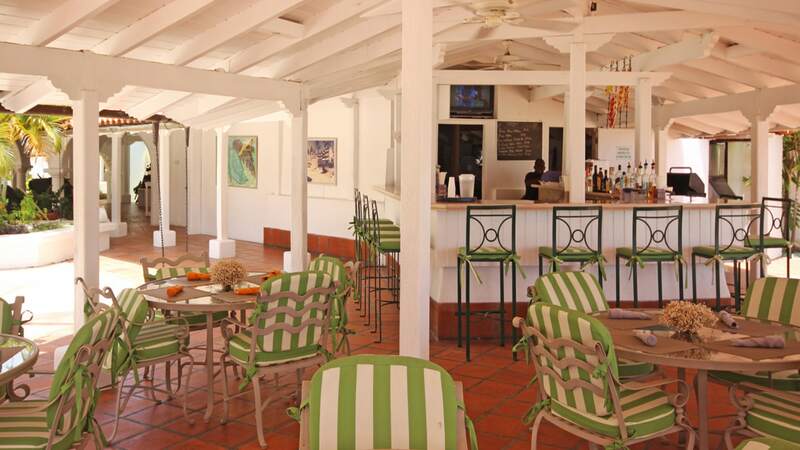 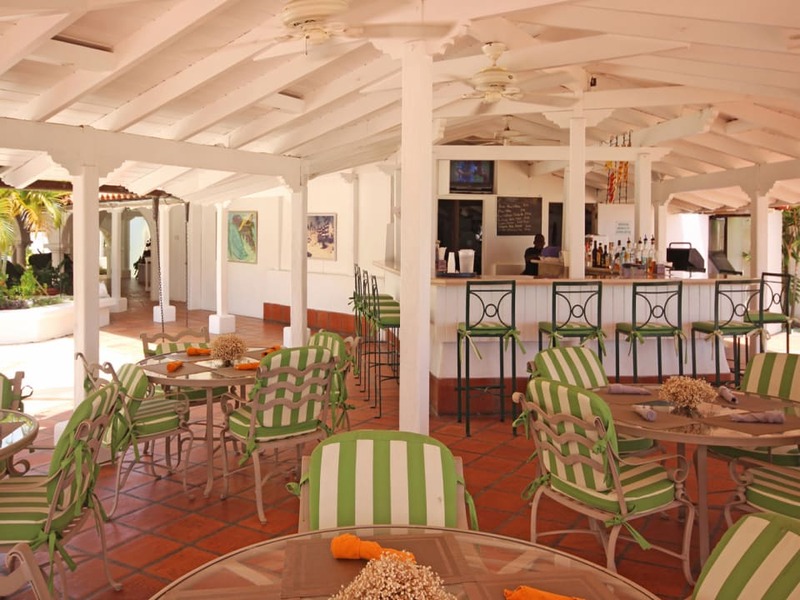 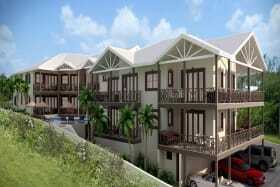 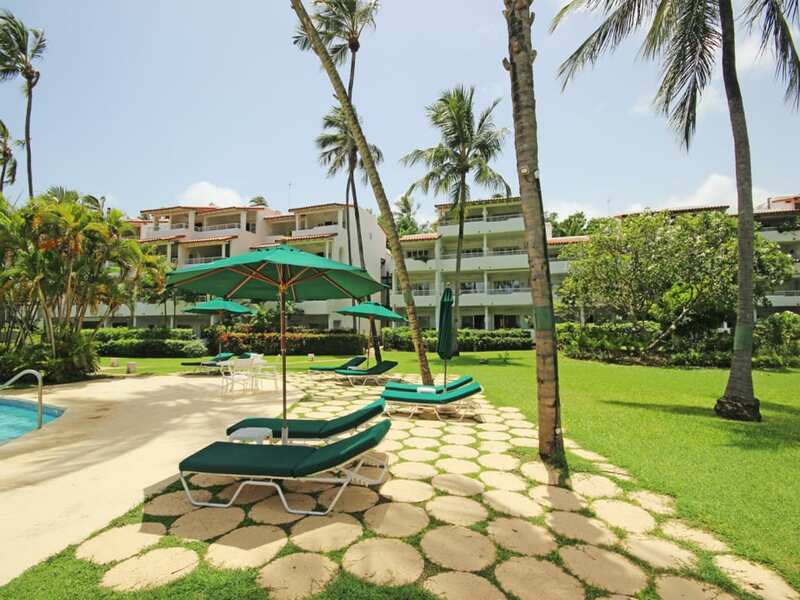 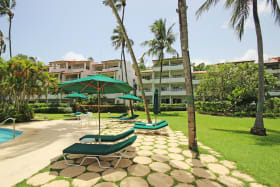 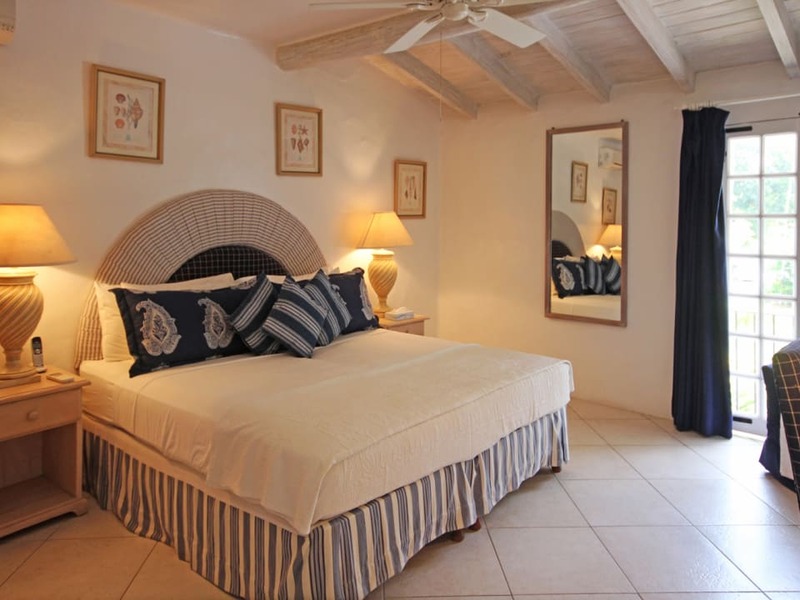 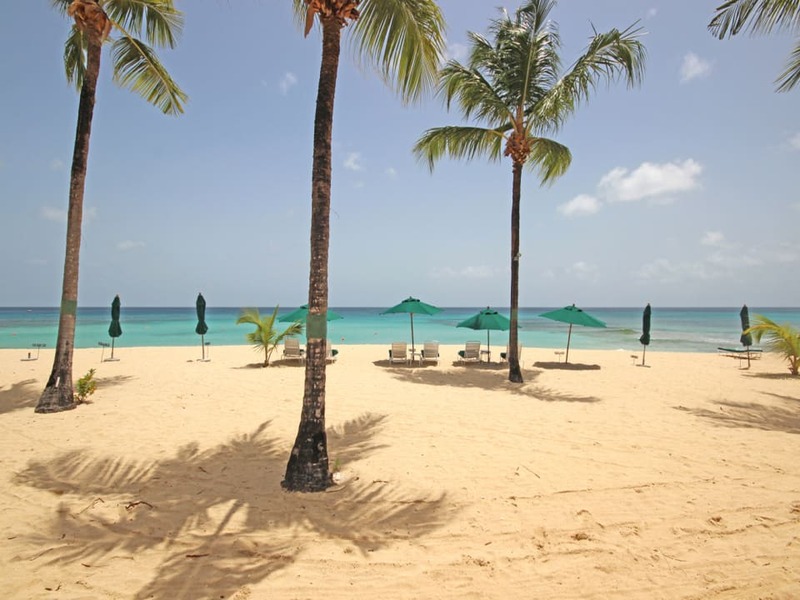 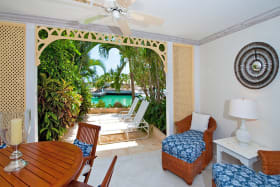 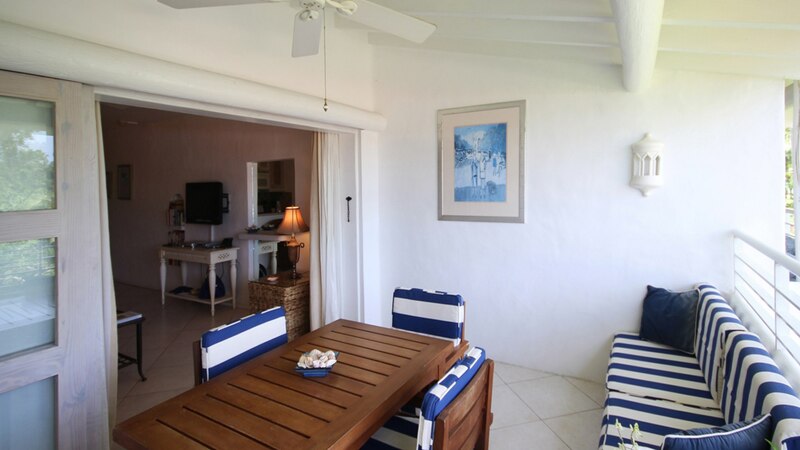 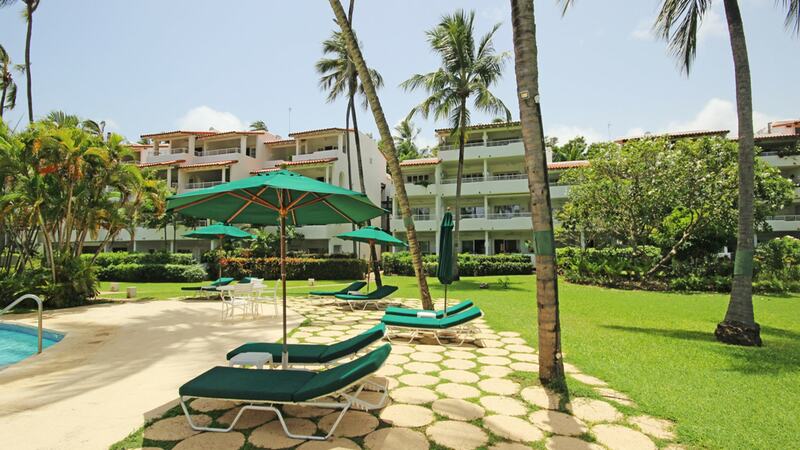 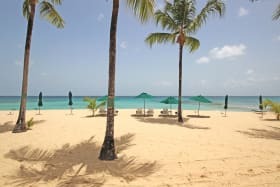 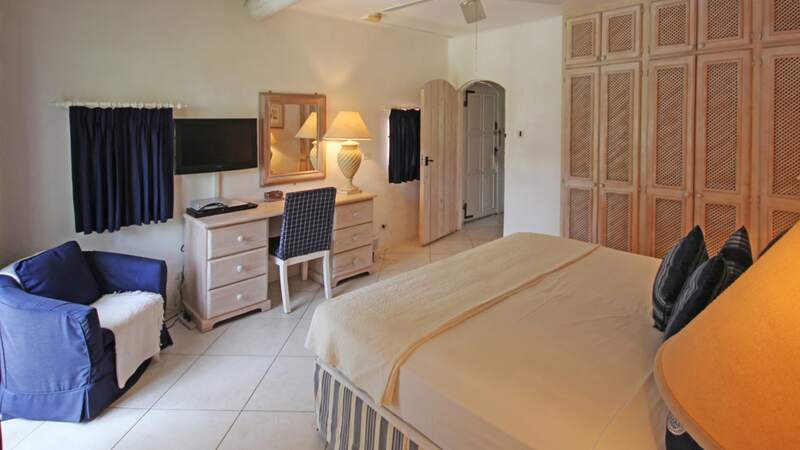 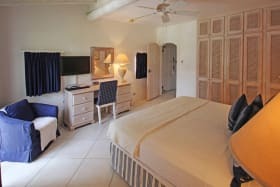 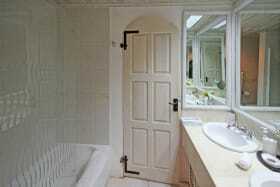 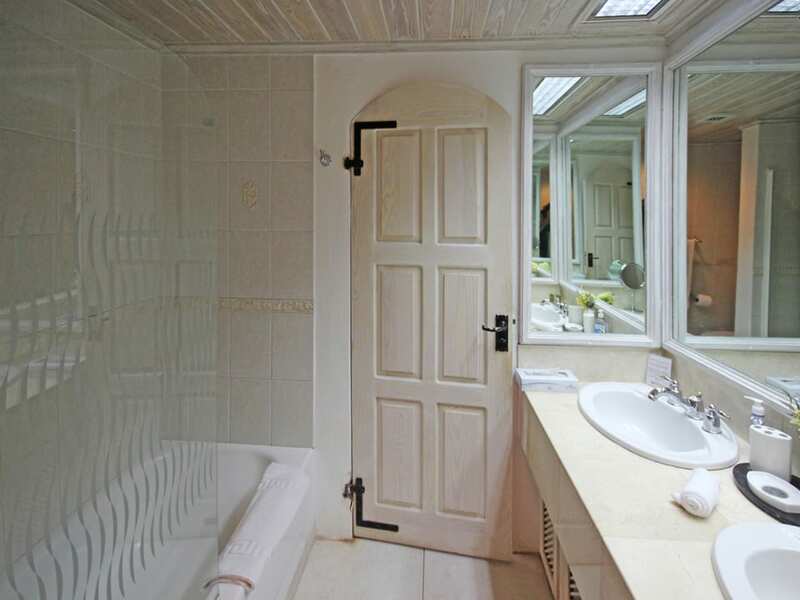 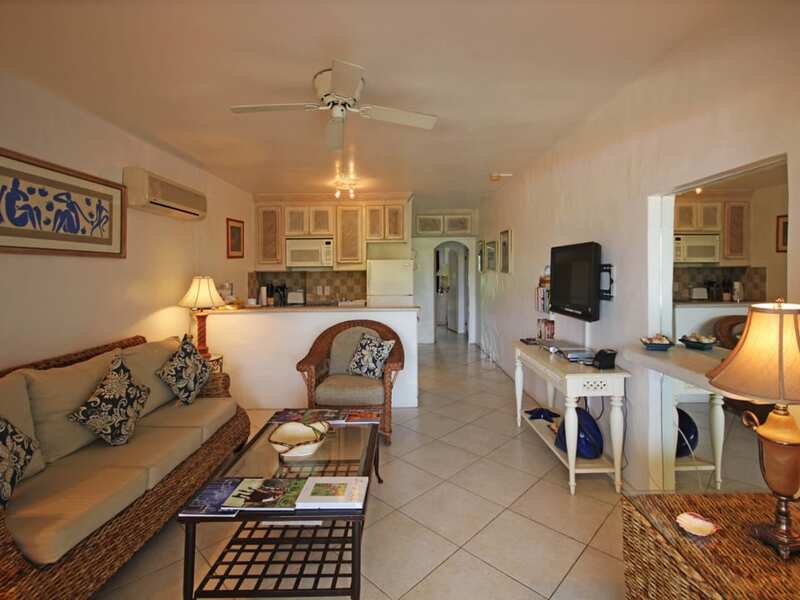 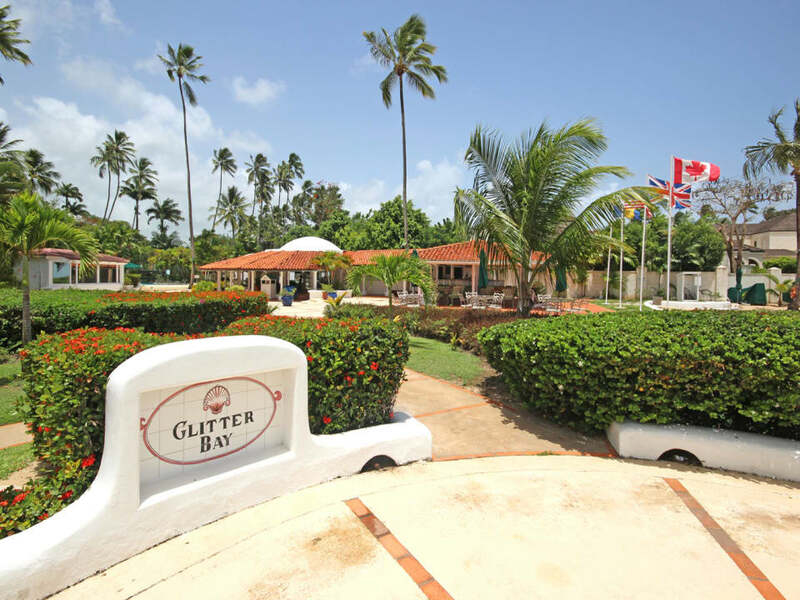 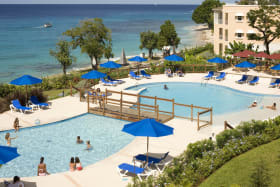 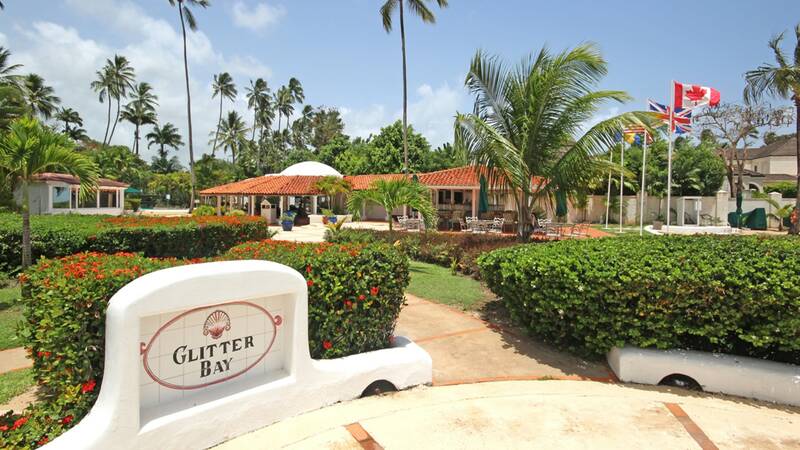 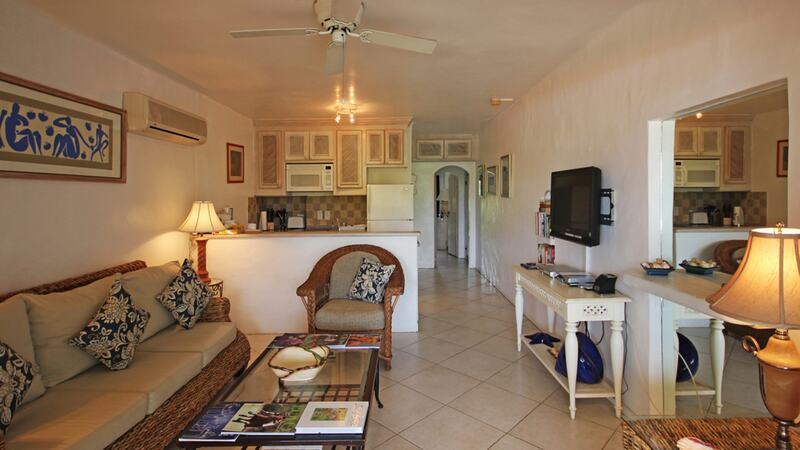 The Royal Pavilion hotel is located next door to Glitter Bay and Holetown and golf are a short drive away. 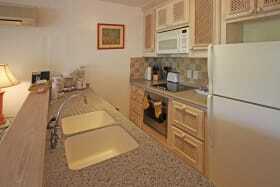 The apartment rents well for holiday rental.